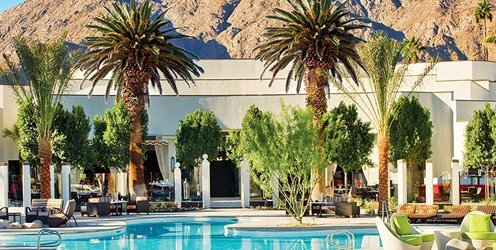 On your next trip to the desert, save your dollars for cocktails by the pool, awesome finds at upscale vintage shops or local art from the myriad boutique lining Palm Canyon Drive in . The resort town has plenty of free events to keep visitors entertained, from world-class art to street fair festivities. Palm Springs Art Museum: The impressive sculpture garden along with the museum’s world-class collection of contemporary and local art is free for viewing five times each month. The museum, set against rugged brown hills right by downtown, has works from big names including Warhol, Chihuly, Lichtenstein and more. Admission costs are waived every Thursday from 4-8 p.m. as well as the second Sunday of every month. Village Fest: For nearly the past 20 years, every Thursday night Palm Canyon Drive between Amado and Baristo turns into a lively street fest in the heart of downtown Palm Springs. The street is shut off from cars to make way for stands selling art, jewelry, snacks and more, and oftentimes visitors are treated to live music and performance art. Coachella Valley Preserve: Best early in the morning or late in the afternoon, this sanctuary has made public more than 25 miles of hiking trails with stunning views of mountains and some of the tallest palm trees you’ll ever see. Remember, there’s not a lot of shade to protect you from the desert sun, so don’t forget your water! Backstreet Art District: Each Wednesday night, the galleries along the district open their doors to showcase their works ranging from sculpture to photography to ceramics. Free days at Joshua Tree National Park: Plan a visit around one of the many and visit the striking landscape of the park, which is about 30 miles east of Palm Springs. Groundbreaking ideas: NARR8 unites creative curious people all over the world through, from designers, to artists, writers and fans!